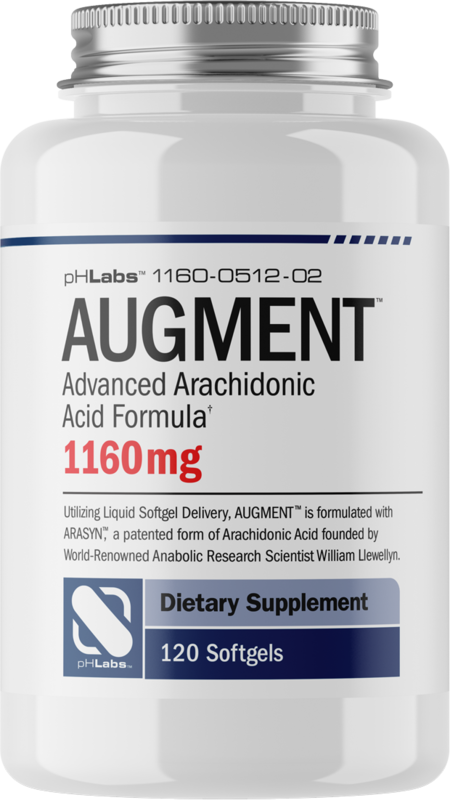 AUGMENT™ is formulated with ARASYN™, a patented form of Arachidonic Acid founded by World-Renowned Anabolic Research Scientist William Llewellyn. 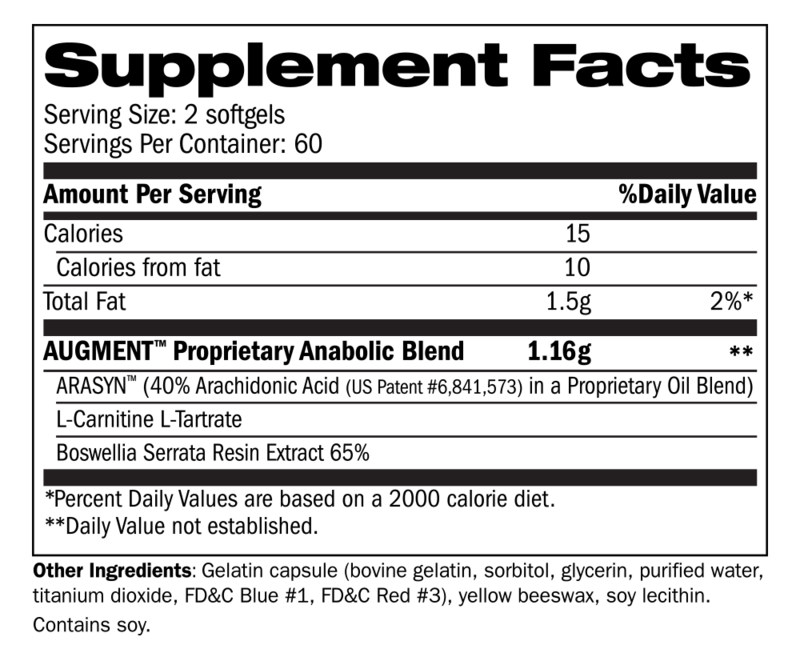 SUGGESTED USE: As an adult dietary supplement, take 2 softgels 2–4 times daily. On resistance training days, take 4 of the softgels 45 minutes prior to exercise. Continue for 60 days followed by 60 days off. ALLERGY INFORMATION: Manufactured in a facility that processes milk, eggs, shellfish, tree nuts, peanuts, wheat and soy.